Report & pics by Saffron Gael. 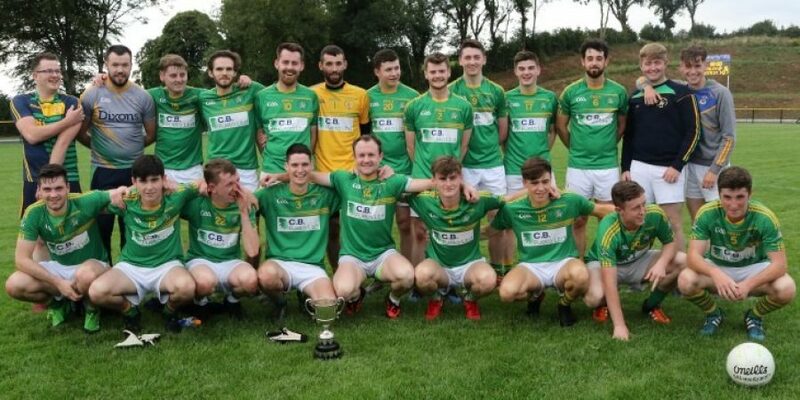 A dominant Cuchullian’s Dunloy second string secured the residency of the Mc Cormick cup for the 2018 season when they brushed aside the challenge of Antrim based St Comgall’s at a pristine O’ Cahan Park Portglenone on Saturday evening last. 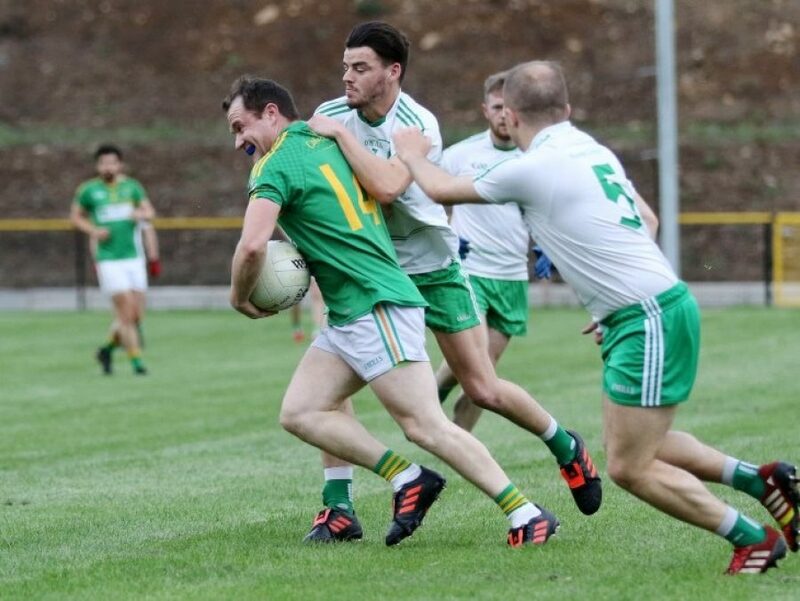 They had signalled firm intentions right from the outset when the impressive Karl Fitzpatrick grabbed a goal with less than a minute on the clock and although St Comgall’s did hint at making a game of it with a trio of early points they were to lose their way thereafter. The Antrim men seemed to lack direction in approach after the concession of that opening minute major and despite the fielding prowess of Lewis Higgins in the central zone all too often promising offensives were terminated by passing movement which went astray or poor finishing and the Dunloy men seized opportunity. Ciaran Quinn raised white to get the Antrim men on the board after Dunloy centre forward Fitzpatrick had raced through the middle to find the net only seconds into proceedings and a smart Patrick Og Quinn intervention opened the way for Peter Mc Auley to add a second in the 7th minute. The Antrim men did spurn a couple of opportunities to draw abreast of the quick starting Cuchullian’s in the next few minutes and when Karl Fitzpatrick and Chris Mc Mahon added whites apiece at the other end it was quite apparent they had a sharper edge to offensive movement. 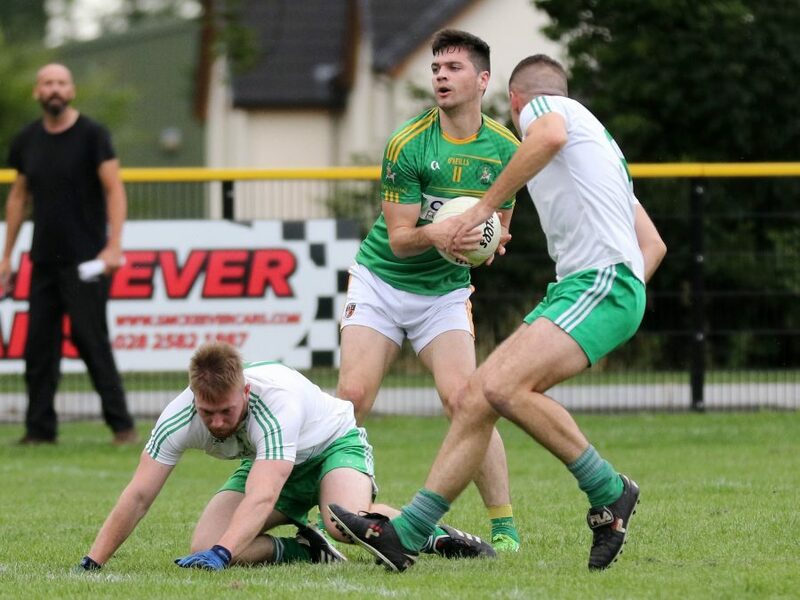 A Peter Mc Auley 16th minute point hinted at better from the Antrim men but this was to prove their lot in the opening period as Dunloy asserted. The Cuchullian’s strode forward in confidence with the quick movement of an inside forward line led by the pace laden Kevin Mc Allister causing problems aplenty for the Antrim rear guard and when the latter came first to collect before splitting the uprights and Caolan Gillan clipped a close range free over the bar they had nipped into a 1-04 to 0-03 lead. 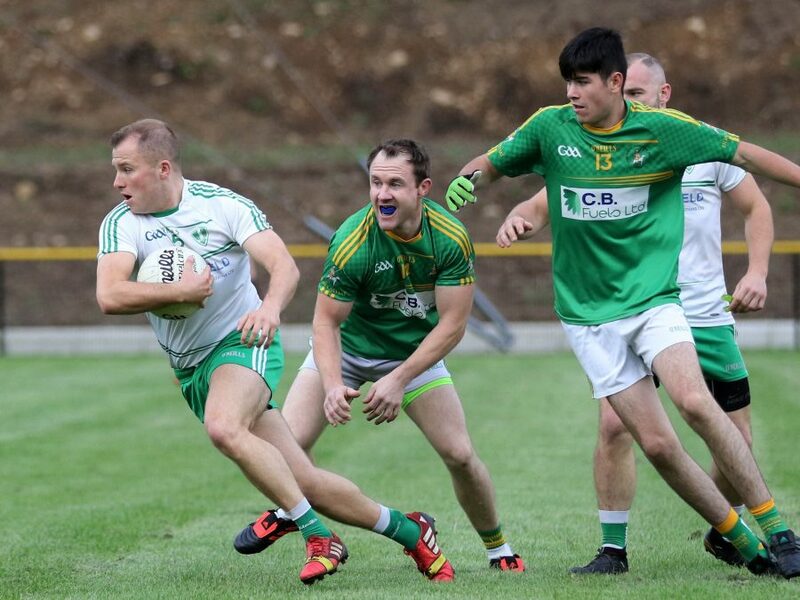 St Comgall’s continued to struggle to make inroads on the offensive, as more often than not the ball carrier found no support arriving ‘on the shoulder, and indeed confidence on the wane was quite apparent when the usually reliable Dylan Murdock sent a close range free wide of the target. 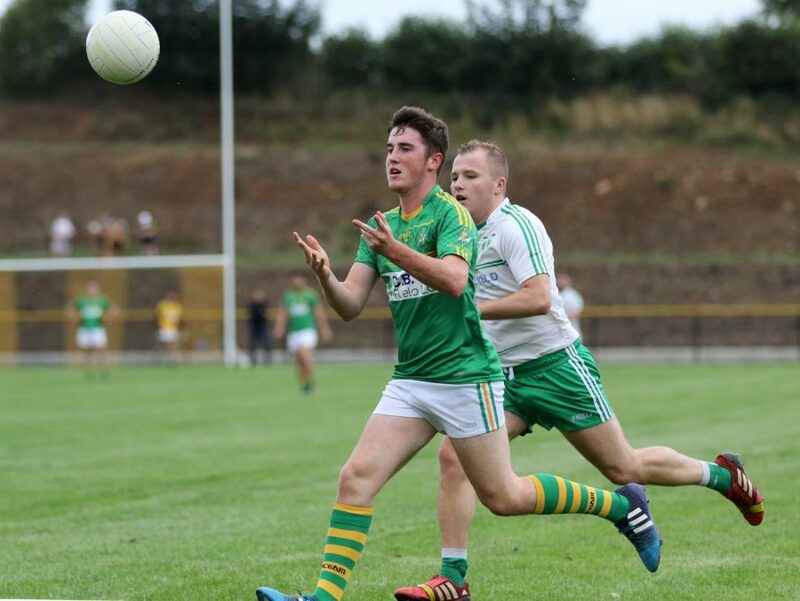 As the Antrim men lost direction Dunloy seized opportunity and back to back points from Sean Og Mc Erlean and Callum Scullion saw them move further ahead. 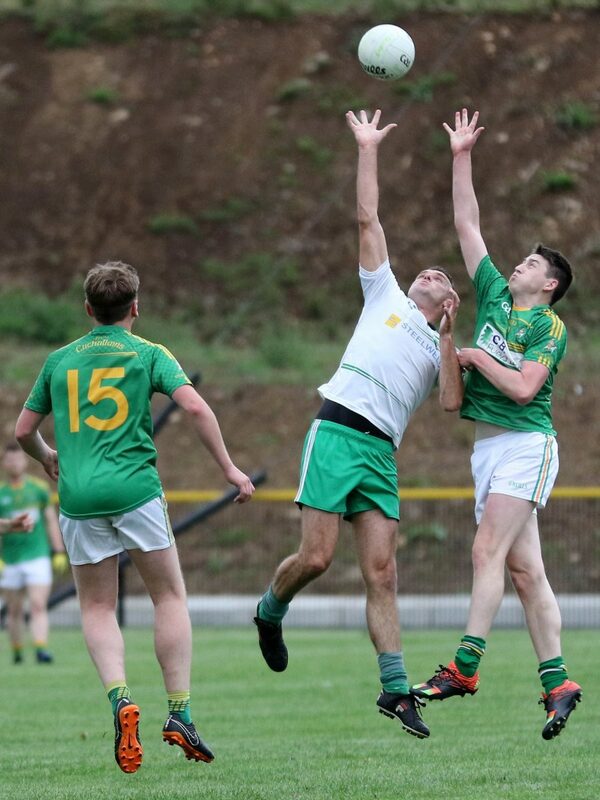 St Comgall’s in contrast to the free running Cuchullian’s just could not make inroads and a strong Shane Og Gribbin approach which should have gained reward went for naught as Joe Webb’s finish went just the wrong side of the post. Kevin Mc Allister made no such error at the other end when after receiving from the advancing Andy Smith he fired confidently between the sticks and when the former was impeded in approach a couple of minutes later Chris Mc Mahon steered the resultant free kick over the bar. 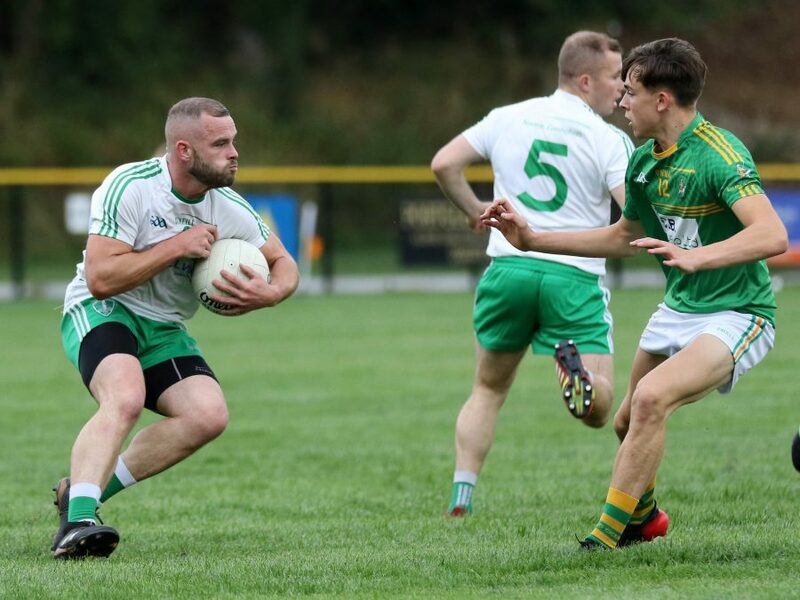 The St Comgall’s lads were struggling to gain momentum and most likely anticipating the break with the short blast imminent but Dunloy were not finished as yet and Karl Fitzpatrick was to finish the period as he had started. Nothing was going right for the Antrim men and when Sean Og McErlean pounced on a wayward clearance from the St Comgall’s defense he was quick to off load to the advancing centre forward and the ball was planted in the back of the net. 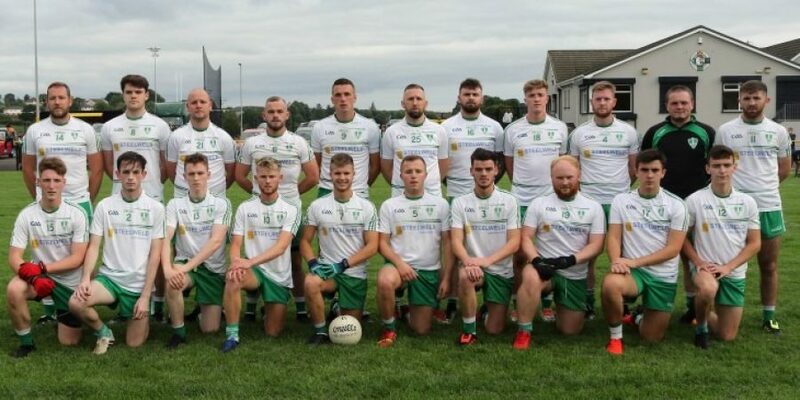 As a result Dunloy took a deserved respite with a more than healthy 2-08 to 0-0-3 advantage. 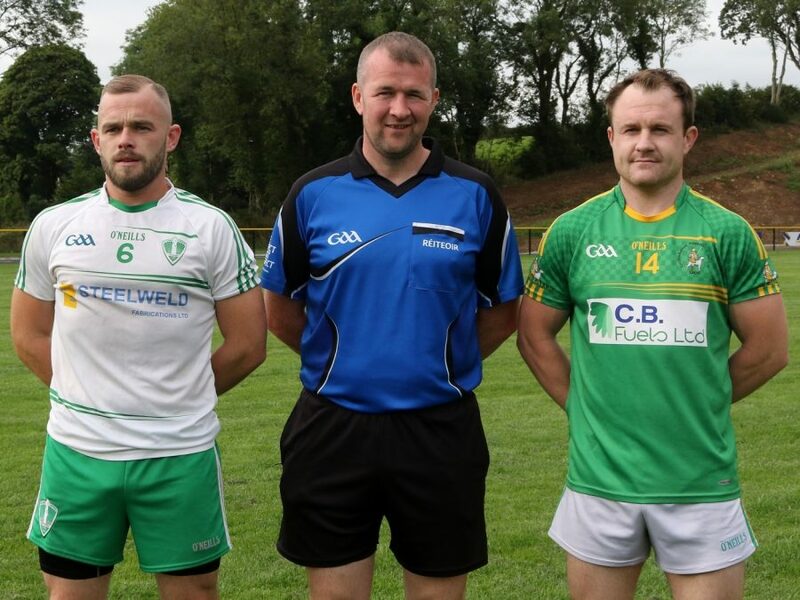 If they were to have any say as to the destination of the McCormick cup this term St Comgall’s required a smart start to the second period but in the event it was the Dunloy men who were to continue as they had left off in the opening thirty minutes. The Cuchullian’s were away again on the positive and when the ever ready Kevin Mc Allister was on the end of a well laid approach to forward between the posts in the 32nd minute and followed suit with another a few minutes later the die looked cast. The Antrim lads had their backs against the wall as the Cuchullian’s strode forward in confidence and further points provided in turn by Chris Mc Mahon and Caolan Gribbin saw them reach the calm waters of safety leading 2-12 to 0-03 at the 42nd minute. Although any semblance of hope was long since lost the St Comgall’s men were not about to offer any semblance of a ‘white flag’ and after points apiece from wing half back Anthony Mc Grath and Caolan Gillan had increased the Dunloy lead Paddy O’ Connor’s pace laden approach and a slick interchange with Shane Og Gribbin led to a fine goal for the wing half forward. O’ Connor’s ‘major’ which arrived as consolation rewarded a good shift for the wing half forward and although both Dylan Murdoch and replacement Rory Mc Larnon both added points the end had long since been reached. 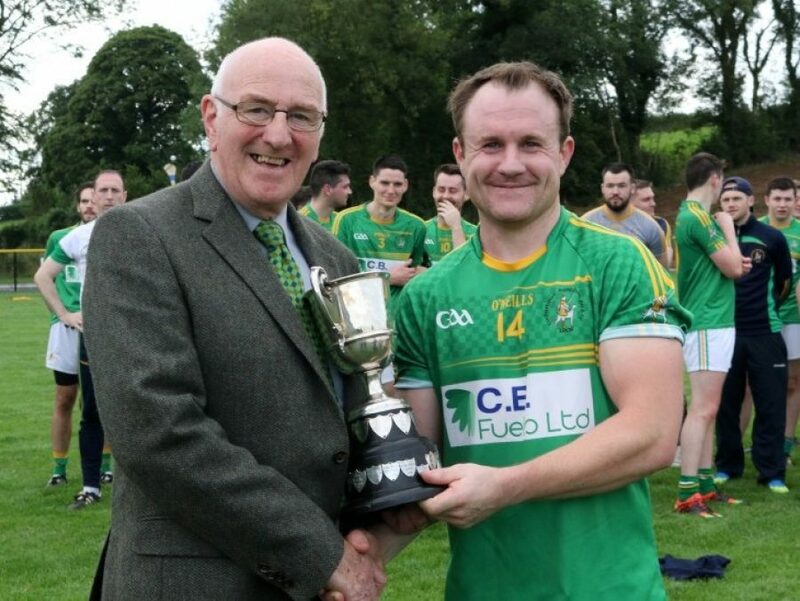 The Cuchullian’s did return to the offensive in confidence following the late Antrim flourish, and late scores provided by Andy Smith, and Karl Fitzpatrick, and another from late substitute Paul McNally saw them conclude at 2-16 to 1-07 and the silverware was en route to Dunloy.